websites, history, music, lyrics, videos. Australian National Anthem Webquest and Online Activities. See also: "Advance Australia Fair" (The National Anthem of Australia) was composed by Peter Dodds McCormick. CoolMIDI Free MIDI Music - National Anthems. God Save the King / Queen. Text and Tune often credited to Henry Carey, 1740. Includes melody in MIDI. The Greek National Anthem. YouTube video, 1.11 min. Greek National Anthem , For Greece and only (with flag). YouTube video, 0:52 min. Het Wilhelmus from Wikipedia, the free encyclopedia. "Het Wilhelmus - (English translation: The William) is the national anthem of the Netherlands and is the oldest national anthem in the world though the words of the Japanese national anthem (not the music) date back to the ninth century." Kimi ga Yo from Wikipedia, the free encyclopeda. "Kimi ga Yo, often translated as 'May your reign last forever' is Japan's national anthem, and is also one of the world's shortest national anthems in current use with 11 measures and 32 characters." Includes scores of "Kimi Ga Yo" - Words and music of the Japanese national anthem. Kimi Ga Yo - YouTube Video, 1:18 min. Koke no musu made, - Covered in moss. See also Song Origin and Explanation of Kimi Ga Yo. Lyrics in Japanese. Lessons Plans: World View: National Anthems Around the World for K-2, from National Geographic. List of National Anthems from Copernicus. Information and lyrics of national anthems. most difficult to sing national anthem of all time - From History of the United States National Anthem: The Star-Spangled Banner, by Angela Harris. The Star-Spangled Banner from Wikipedia, the free encyclopedia. "With a range of one and a half octaves, it is known for being difficult to sing." Music / Midi Files. Collection by Prairie Frontier. Contents include: 76 Trombones, Air Force, America the Beautiful, American Patrol, Army, Auld Lang Syne, Ballad of Green Berets, Battle Hymn of the Republic, Coming to America, Dixie, God Bless America, Grand Ole Flag, Marine Corps, My Country Tis of Thee, Navy, Patriotic Medley, Pomp & Circumstance, Stars and Stripes Forever, Star Spangled Banner, Tipperary (It's a Long Way to Tipperary), USA Anthem, US Coast Guard, Washington Post March, When Johnny Comes Marching Home, Yankee Doodle. National Anthem from Wikipedia, the free encyclopedia. List of National Anthems with historical information on modern version, original version, lyrics, English translations, and more. Include national anthems of nations that no longer exist. See also List of patriotic songs. National Anthem MIDIs, Lyrics and World Flags. Laura's MIDI Heaven! Music from around the world, multiple midi versions of national anthems, choose countries from A-Z, lyrics to most anthems available, images of as many as 10 different sizes and designs (some animated) of flags from a country available for viewing and copying. National Anthems and Ceremonial Music from United States Navy Band Anthems Website. Note: The music files on this website are intended for official use by Department of Defense and U.S. government offices only. Exceptions to this policy will be considered on a case-by-case basis. Foreign national anthems are subject to change without notice. Please download updates each time you use them to ensure you are using the most current version of the country's anthem. All links on this site go directly to MP3 music files. National Anthems of the World from Magun's Compass. Find a country from A-Z to hear its national anthem. Click on Flag link to see flag, travel notes, and related links to each country. National anthems of the world - Nationalhymnen - himnos nacionales. Select national anthems from A-Z by countries. National Anthems of the World by Michael Jamieson Bristow (a composer, music editor, music historian and church organist). Site designed as an information source and includes facility to purchase and download the individual sheet music of any current National Anthem of the World, State Song of America, State Anthem of Malaysia and Provincial Song of Canada. Includes list of most popular downloads. National Anthems Quiz from BBC. Radio Five Live - Name that national anthem. Listen to anthems and answer 8 multiple choice questions. Correct answers provided. 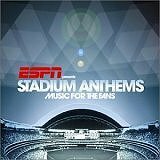 NationalAnthems.us - Download World National Anthem Audio, Lyrics, & Sheet Music. This is the first national anthems forum in English on the internet! An educational website dedicated to providing a place to exchange information and learn more about national, state, and municipal anthems. Also contains an extensive collection of anthem download links, lyrics, sheet music, and other information on anthems. Nationalhymnen - National Anthems. Bilingual - German and English comments. Includes numerous versions of MIDI as well as old national anthems where applicable. Length of time for each Midi is indicated. Select a national anthem from A-Z by country name in English. People's Republic of China National Anthem. YouTube video, 1:04 min. Russian Anthems Museum. Main page of the museum contains all Russian and Soviet national anthems. Separate pages cover Internationale in many languages, anthems of Union republics, and use of “God Save the Tsar” in Tchaikovsky’s music. Currently there are 390 audio and video records in the museum. Sheet Music for National Anthems. This excellent collection of national anthem sheet music is the hard work of Johan Schoone, from the Netherlands. Slavic, East European, and Former USSR Resources: National Anthems, Hymns, Patriotic and Folk Songs. Index of music by subject, country, or area. Sounds of the Soviet Union: National Anthems and Soviet Songs. Include 1917-1944: The International, 1944-1991: The Soviet National Anthem (mp3 & midi), as well as Latvian, Estonian, Byelorussian, Ukrainian, Georgian, Lithuanian, Moldavian, Armenian, Turkmenistan, Uzbekistan, Kyrgyzstan, Azerbaijan, Tajikistan, and Kazakhstan National Anthems in mp3 format. Ukraine's refrain is 6 minute pain ". . . the world’s longest national anthem. [Ukraine Football Team has] been granted special permission to play the full 6½-minute version of Oi Ukrainy . . . The Ukraine Football Federation usually plays a shorter version — just 90 seconds long — at games." United States and International Anthem Midi Files from Partners In Rhyme. World Anthem Database. 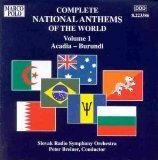 A Collection of National Anthems of Countries in the World. Text of anthems in native language and English. No music. The World's Longest National Anthem. "Ode to Freedom, originally written as a poem by Dionysios Soloms in 1823 . . . was adopted as the national anthem of Greece in 1864. The anthem is 158 stanzas long . . . The shortest national anthem is the Japanese anthem at only 4 lines long." America the Beautiful from Wikipedia, the free encyclopedia. 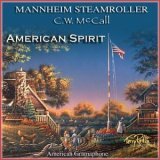 "'America the Beautiful' is an American patriotic song. The words are by Katharine Lee Bates and the music by Samuel A. Ward. ... From time to time it has been proposed as a replacement for The Star-Spangled Banner as the National Anthem." America the Beautiful. Video from YouTube, 3:31 min. American Anthem - Star Spangled Banner. Sing-Along Karaoke style, YouTube video, 1:31 min. from Sound Choice. The Cactus Cuties sing The National Anthem Original Video. YouTube video, 1:53 min. Lyrics to U.S. Patriotic Songs & Hymns. National Anthem Lesson. Learn ESL and EL Civics History and Government. "The lyrics to the Star Spangled Banner were written by Francis Scott Key in 1814. Key was a lawyer, author, district attorney, and amateur poet. He wrote the words during the War of 1812. ... The Star Spangled Banner was adopted in 1916 as the American National Anthem by an executive order from President Woodrow Wilson." National Anthem of the United States of America in mp3. Star Spangled Banner played by USAF Heritage of America Band, 1:13 min. National Anthem USA. Sing along - Karaoke, YouTube video, 2:08 min. Patriotic Songs and Marches, Lyrics, MIDI on YouTube. 22 patriotic songs and marches in YouTube movie or MIDI format, and brief information about anthems and countries. • Our Pledge of Allegiance explained by John Wayne. • Patriotic Music and Sing-Alongs. American Patriotic Music Midi and Wave Sing Alongs. Include: America the Beautiful, Ballad of the Green Berets, Battle Hymn of the Republic, Dixie, God Bless America, Star Spangled Banner, When Johnny Comes Marching Home Again, and more in midi, wave and MP3 files. Star Spangled Banner from Wikipedia, the free encyclopedia. The Star-Spangled Banner - "With a range of one and a half octaves, it is known for being difficult to sing. Although the song has four stanzas, only the first is commonly sung today . . ."
The Star Spangled Banner: A Brief History of the American National Anthem by Chad Criswell. 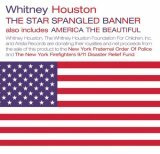 Star Spangled Banner (MP3) by Army Band, America, America the Beautiful, God Bless America, The Battle Hymn of the Republic, The Air Force Song (US Air Force), The Marines Hymn (US Marines), Anchors Aweigh (US Navy), The Army Song [The Army Goes Rolling Along] (US Army), The Marines Hymn (US Marines), Semper Paratus [Always Ready] (US Coast Guard). The Star Spangled Banner - The National Anthem of the United States of America by Francis Scott Key, 1814. Lyrics. For U.S. Citizenship examination purposes, you need to know the name of the National Anthem and its writer. The Star Spangled Banner Website. War, Flag, Song, Legacy, Interact (O Say Can You Sing? Upload your video to YouTube group and enter to win the Star-Spangled Banner singing contest). • The Pledge of Allegiance - History. "On October 12, 1892, the quadricentennial of Columbus' arrival, more than 12 million children recited the Pledge of Allegiance, thus beginning a required school-day ritual." • Federal Flag Code in its entirety. The Federal Flag Code prescribes the proper display of and respect for the United States Flag. Each state has its own flag law. • Ready Reference: U.S. Flag Facts. • Great Seal of the United States. • The National Anthem - History. • Making Sense of the Fourth of July by Pauline Maier, who is actually William Rand Kenan, Jr., Professor of American History at the Massachusetts Institute of Technology (MIT). United States "The Star Spangled Banner". Music, Lyrics, Sheet music. United States Symbols WebQuest from Mission Trail Library Media Center, Kansas. Elementary school webquest task is to find four facts about five U.S. Symbols: U.S. Flag, Statue of Liberty, Bald Eagle, National Anthem, Pledge of Allegiance. 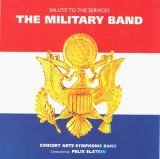 The U.S. Army Bands Music. Including the U.S. National Anthem, U.S. Army Song, and Bugle Calls. US National Anthem by the Academy Choirs. YouTube video, 2:38 min. Webquest: Our National Anthem: "The Star-Spangled Banner" by Mrs. Evelan, West Manheim Elementary, Hanover, PA.
Whitney Houston Star Spangled Banner. YouTube video, 2:49 min.